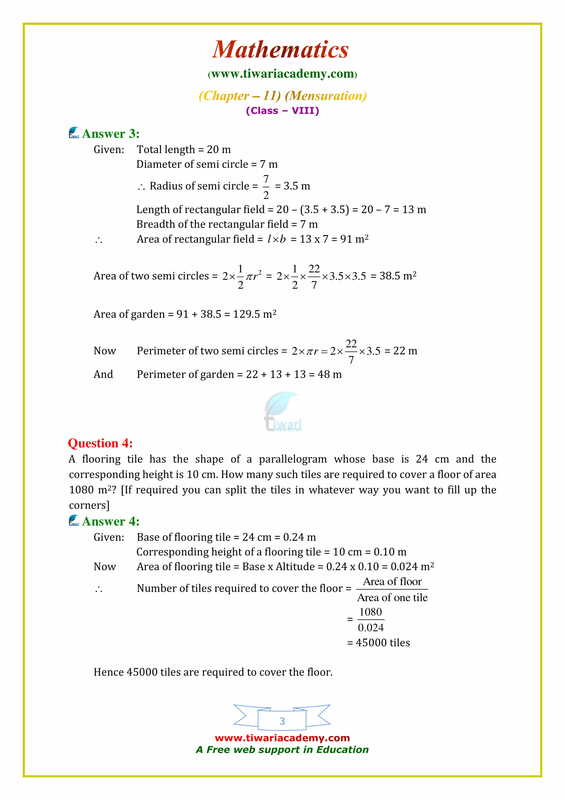 NCERT Solutions for Class 8 Maths Chapter 11 Exercise 11.1 Mensuration in English Medium and Hindi Medium in a simplified manner to assist the students using English as well as Hindi NCERT Books. 160 m³ of water is to be used to irrigate a rectangular field whose area is 800 m². 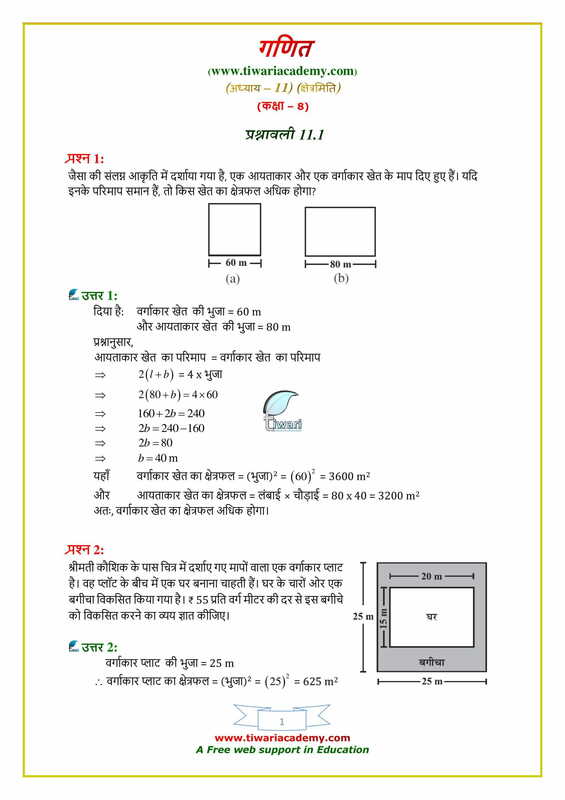 What will be the height of the water level in the field? Two cuboids with equal volumes will always have equal surface areas. A wooden box (including the lid) has external dimensions 40 cm by 34 cm by 30 cm. If the wood is 1 cm thick, how many cm³ of wood is used in it? There is a circular pond and a footpath runs along its boundary. A person walks around it, exactly once keeping close to the edge. If his step is 66 cm long and he takes exactly 400 steps to go around the pond, find the diameter of the pond. A truck carrying 7.8 m³ concrete arrives at a job site. A platform of width 5 m and height 2 m is being constructed at the site. Find the length of the platform, constructed from the amount of concrete on the truck? 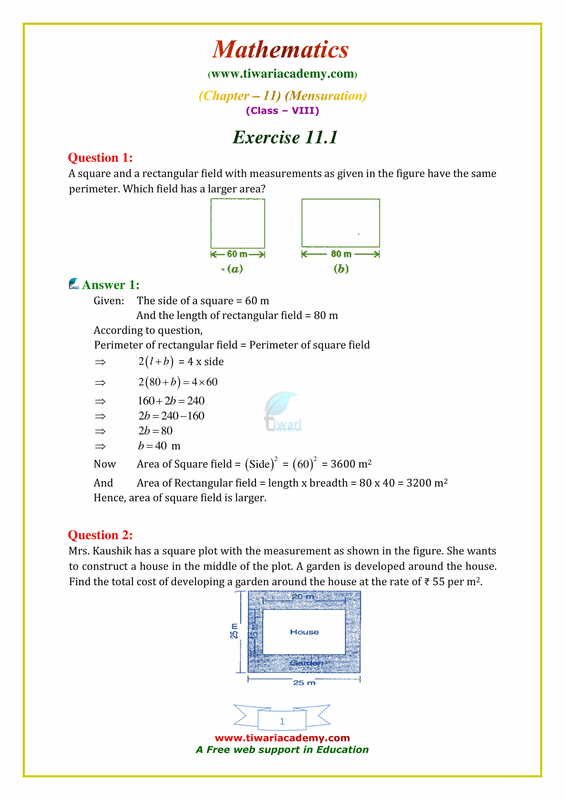 The area of a rectangular field is 48 m² and one of its sides is 6m. How long will a lady take to cross the field diagonally at the rate of 20 m/minute? The thickness of a hollow metallic cylinder is 2 cm. 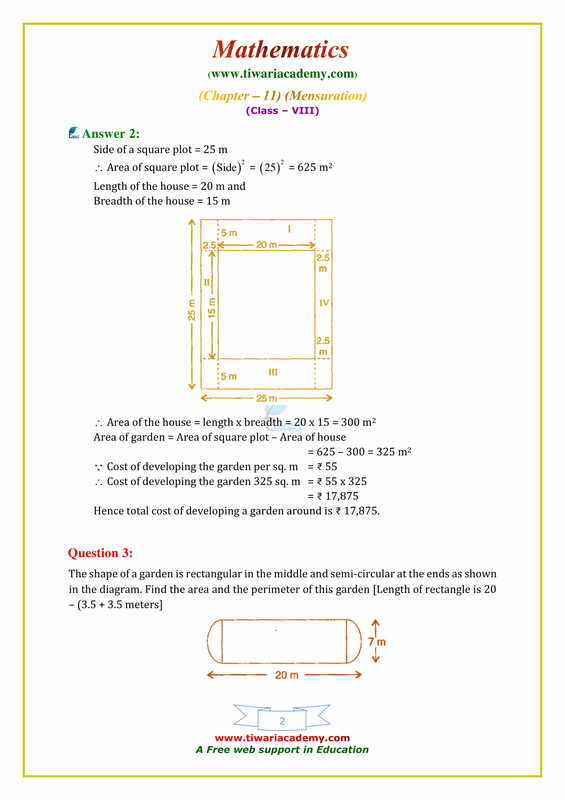 It is 70 cm long with outer radius of 14 cm. Find the volume of the metal used in making the cylinder, assuming that it is open at both the ends. Also find its weight if the metal weighs 8 g per cm³. A river 2 m deep and 45 m wide is flowing at the rate of 3 km per hour. Find the amount of water in cubic metres that runs into the sea per minute. A running track has 2 semi-circular ends of radius 63 m and two straight lengths. The perimeter of the track is 1000 m. Find each straight length. 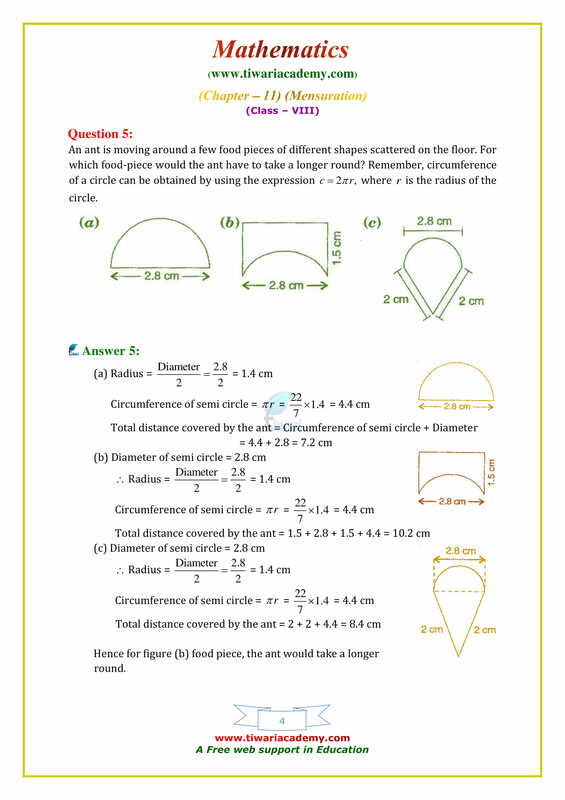 Find the area of a rhombus whose one side measures 5 cm and one diagonal as 8 cm.